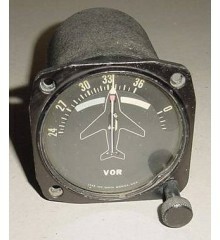 3 1/8" McDonnell Douglas DC-8 Vertical Speed Indicator. Manufactured by Bendix. 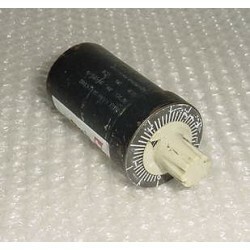 P/N 1653-6AB-B6-1.Sold for display only, as is no returns. It shows very well and it would make an excellent show piece for the bookshelf in the office or home or just as a mock up panel item. 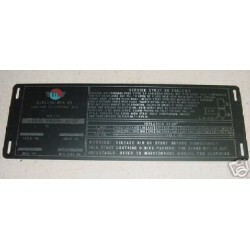 NEW, nos, McDonnell Douglas DC-8 Landing Gear Placard. P/N 3924406-1. It measures 11 1/2" by 4". NEW, nos, McDonnell Douglas DC-8 Landing Gear Placard. P/N 3924406-1. It measures 11 1/2" by 4". ..
McDonnell Douglas DC-8 Instrument Panel. P/N 5614924-425. It measures 19" by 15 1/2". It is in average condition. McDonnell Douglas DC-8 Instrument Panel. P/N 5642729-19. It measures 19" by 15 1/2". It is in average condition. Swissair Douglas DC-8 Fuel Load Selector Assembly. 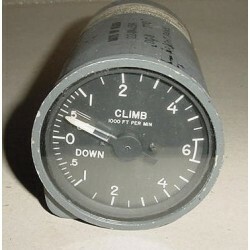 Manufactured by Simmonds Precision. P/N B1425-5. Swissair P/N IDN230041. Sold for display only, as is, no returns.